It was another action packed day at Equifest with several championships titles handed out during the evening’s performance in the electric TopSpec arena. Getting proceedings underway was the Equifest Riding Pony In Hand Championship, with the adorable foal, yet to be named, led by Geoff Grace taking the accolade. The Signature Communications Show Pony Championship had a strong field in attendance with the judges finally choosing the 128cm Courtvale Show Girl ridden by Macey Baxandall to take the prestigious title. The winner of the Jo Brew Small Hunter was Mexican Summer ridden by Georgina Wilkes who toppled the previous evening’s big winner Miracle Mickey. 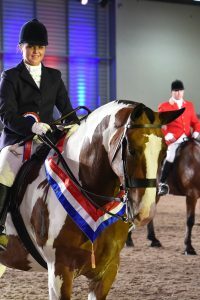 Setting the arena alight was the ever popular BSPA Piebald and Skewbald Championship, with some incredible coloureds on show, the winner was the cob Cleaghmore Boy ridden by Sophie Donald. The KBIS Show Hunter Pony Championship was the next to fall under the spotlight and was taken by Katie Ashcroft riding Brindle Under Suspision, the winner of the 153cm section. 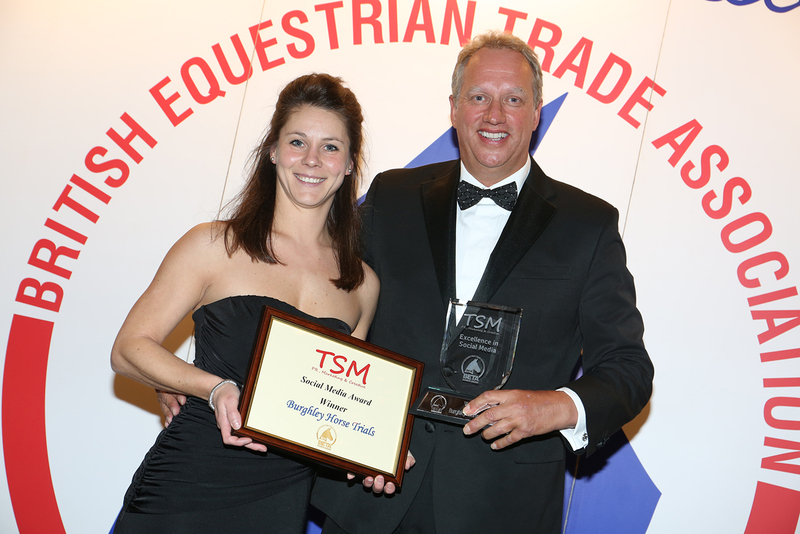 The Equifest M&M In Hand Championship went to the Section A, Forlan Honey Rhythm led by Gabby Davies who was overcome with emotion after the popular win in this huge class. A parade of concours d’elegance winners wowed the arena and was followed by the presentation of the Concours D’Elegance Championship which went to the stunning Side Saddle rider Sue Vincent and Bally Sprigan adding to their win the previous evening Concours D’Elegance Period Costume Drama section. Jamie Ryder-Phillips and the attractive chestnut, Morsecode took the Mini Eventer exceeding 153cms final continuing their form from last year’s show. The eagerly anticipated Fancy Dress saw the imaginative Air Ambulance costume take the crown with four-year-old Lilly Richardson, seven-year-old Robert Faulkombridge and their pony Fine Time Florence heading the judges choice in this highly competitive class. 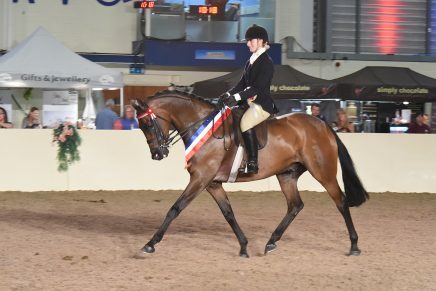 The magnificence of the Show Hunters entered next with the Black Country Saddles Hunter Championship which saw Master Bandsman ridden by Cerys Ford galloping to a championship title after winning the Middleweight section. Taking the Reserve Championship was the Heavyweight, Golden Inca Cross and Karl Standing who galloped their heart out in the TopSpec Arena. The Nedz M&M WHP championship was next and produced a popular champion in Dycott Welsh King ridden by Ross Keys, another to lengthen as they left the amazing atmosphere of the TopSpec Arena. The Hood Show Team Maxi Cobs winner was Jane Donald and Cleaghmore Boy, a second win during the evening for this attractive coloured gelding. The evening was rounded off with the prestigious Palmers Stud & Livery Supreme Novice Championship in the TopSpec Indoor Ring where the honours went to the Novice Hack winner, the eight-year-old Howetown Madrigal ridden by an emotional Zoe Moore-Williams.